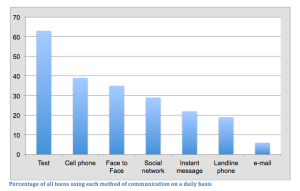 Are Cell Phones Ruining Our Social Skills? 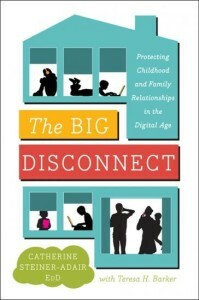 Cell phone, social media and technological interactions are ruining our generations face to face communication skills. The use of technology to communicate has drastically increased over the past two decades. In 2002 only 10% of the world’s population used cell phones and by 2005 that number had risen to 46% (Pierce). Although technology is great and all-what is it doing to the way teens communicate now a days? It is completely transforming our culture. A study done by Tamyra Pierce examined 280 high school students to assess their use of technology and how it affected the students socially. The observational study consisted of a survey in which each student was to answer which social media accounts he or she possessed, how long each spent on his or her phone and how comfortable he or she was in face-to-face situations. The findings showed that there is in fact a correlation between social anxiety of face to face interaction which increases with the amount of online interaction one participates in. Furthermore, students reported that they were much less nervous meeting friends online than they were meeting new people in person, both startling pieces of evidence. Let’s take for example two individuals in a relationship. If the couple spends more time communicating and spending time through texting, there is a loss of affection in the relationship. One misses out on the intimacy of actually spending quality face to face time with someone. Texting and social media allows people to hide behind screens and to not truly express themselves for who they are. In an article referenced by Psych Central, the author stressed that avoiding uncomfortable and undesired situations by addressing them through text message is detrimental. As quoted by Bernard Guerney, founder of the National Institute of Relationship Enhancement, “you grow some when you face things, and I think you lose something when you have to resort to tricky things and not confront people about things that are intimately important” (Psych Central). 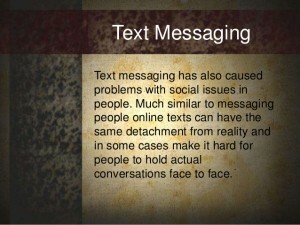 By communicating through text message and social media, there is a loss in social and personal development. 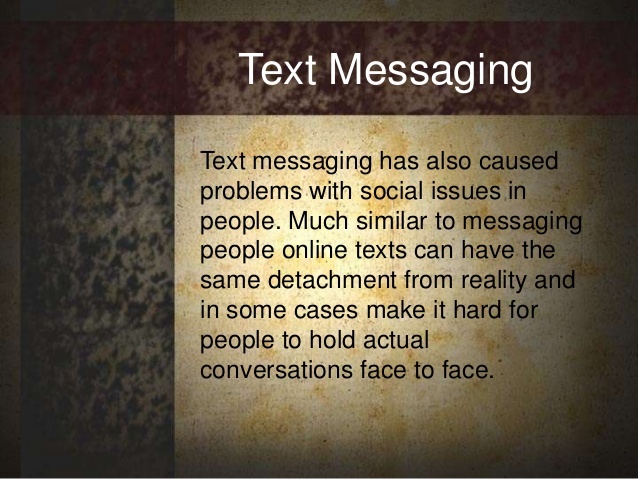 In addition, social skills and face to face interactions are damaged through impersonal communication because the individual is unable to express body language, tone, voice, touch and facial expressions through text message. The science behind such discoveries shows that there is a natural comfort in connecting behind phone screens than face-to-face, which in turn negatively affects how our generation develops and communicates with one another. This entry was posted in Uncategorized on September 16, 2015 by Haley Amanda Toadvine. The first day of public speaking my teacher asked us what we expected to learn from the class and a student rose his hand and said he expects to learn how to speak to someone face to face instead of over the phone. My teacher loved that response, and proceed to talk about how our generation is socially awkward because of social media. He said we would rather sit online playing xbox then socialize with other kids, which is very truthful. Kids today are a lot better with technology, but can’t hold a conversation. So i would have to say yes, Social media is ruining our social skills. To answer the question proposed in your title, I wholeheartedly believe that cell phones are ruining peoples social skills. However, not only are cell phones breaking down our social skills, they make us lose sleep. A study of more than 200 college students revealed that, on average, each student lost about 45 minutes of sleep each week because of their cell phones. The same website that posted that study also claimed that “In an online survey of 164 college students, about 60 percent admitted to being addicted to their cell phones, describing feelings such as agitation when their phone was not in sight, something that James Roberts, a researcher on the study, described as astonishing”. I personally think it’s sad that our generation is thought of in this way, and kind of wish we could take it back to the old times when our lives didn’t completely revolve around our technological devices. I 100% agree with you that text messaging and the technology we have today is ruining our social skills. People barely talk face to face anymore or even on the phone. 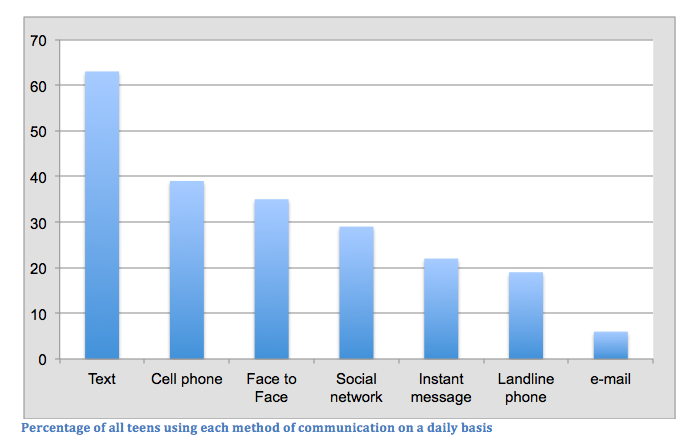 People just communicate through a phone screen by texting. I hate how our generation does this because I love face to face interactions, and that is rare these days. There is not a way to fix this problem because everyone is addicted to their cell phones. It is just sad that this is how we live today and how people communicate. I wish it was like the old days where you had to physically go to their house to see someone or had to call them up on the phone. I definitely agree with your blog post. Just walking to class you can tell cell phones have taken over everyones lives. I see about 70% of people walking alone to class, face glued to their phone. Even in social situations, like when a group goes out to dinner, people are constantly checking their phones and not even acknowledging one another. This is definitely a problem within society that has no immediate fix. I agree that social, face-to-face interaction has definitely taken a turn for the worse since cell phone popularity has grown. Technology does allow individuals to avoid awkward situations if they want. The fact that it is so easy to avoid tough situations can be a bad and a good thing depending on what the situation is. When someone is forced to deal with one of these situations later on in life, they may not be able to hide behind their phone. Although cell phones may have a negative effect on a relationship, the devices benefit a relationship greatly when the two people are not able together often.